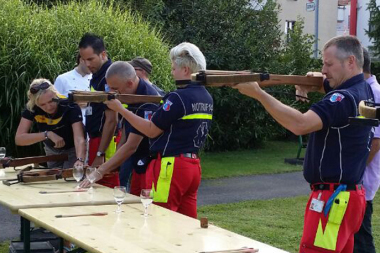 The supreme discipline of all the shooting events, also for ladies. 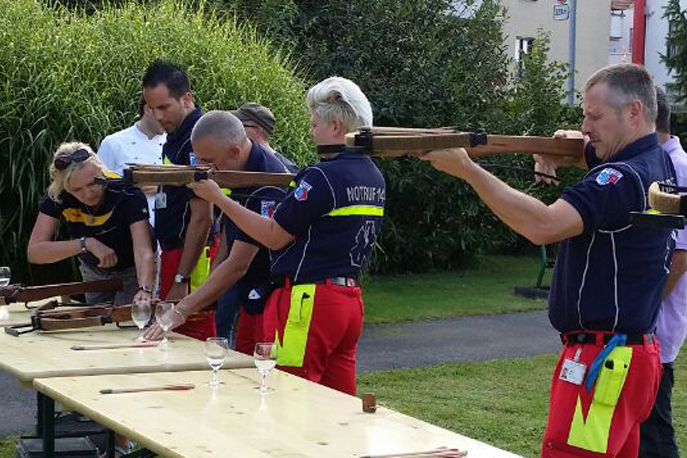 The medieval "weapons" guarantee points and the best will be honoured at the end of this team competition. 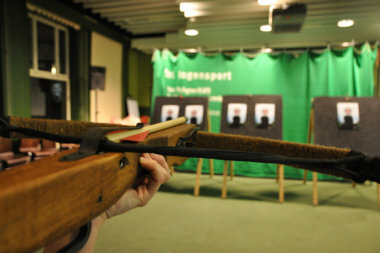 Crossbow shooting is appreciated as a sport which challenges both the body and mind equally. Put your concentration and physical stamina to the test − with a little practice, calm and composure, your arrow will hit the target! No previous knowledge of crossbow shooting required and you don't have to be William Tell to hit the apple. An experienced guide will introduce you to this fascinating and ancient sport. 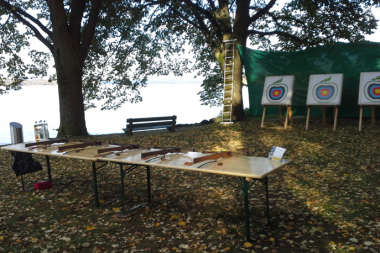 Crossbow shooting is great fun in all events and a fascinating activity for all occasions. How about, for example, as a side programme before an aperitif? The combination of blowpipe and crossbow shooting and archery is also very popular. Is also very good as an item on an adventure course or can be arranged as a competition. Besides the point scoring, there are also many other competition forms... you can, for example, try to hit your own visualised targets. Also suitable as a gift − hardly anyone would expect this!